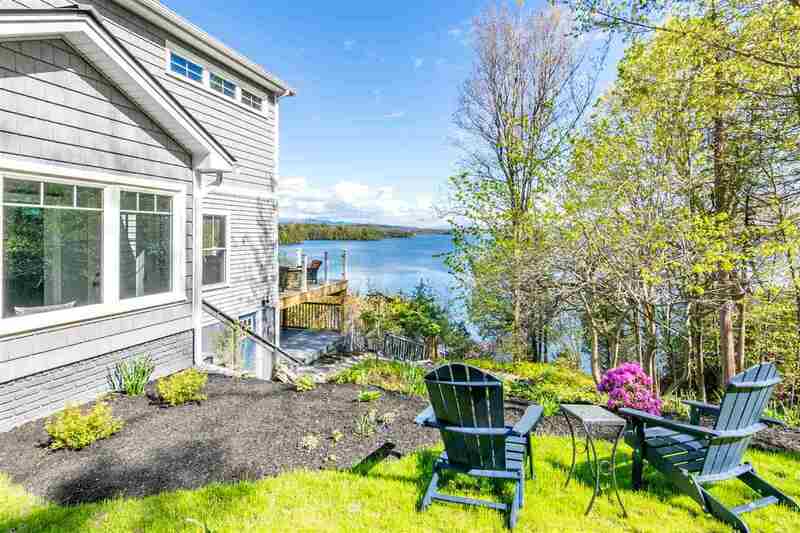 Wonderful, year round, lakefront home with incredible views of Mallets Bay and Camels Hump. This practically new home just went through a complete renovation down to the studs with an added second story. The home includes a new heating system, water filtration system, plumbing, electrical and all new finishes. This home offers 2 bedrooms each with en-suite baths with amazing views of the lake. The main level features an inviting open concept design with wood floors, gas fireplace and a chefs kitchen, complete with a large island. The triple sliding doors off the main living space open to the 16x26 deck completed with glass railings to not obstruct the view. Red Rock Rd. is a private road that offers peace and tranquility. Walk out the back door and follow the path to the water where you can enjoy swimming, boating or fun on the water. This is truly a one of a kind property that you won&apos;t want to miss.